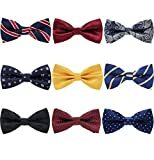 Bowtie is an element or symbol of sophistication in the fashion trend or world today. Bowties are staple fashion accessories for men that complements most formal attires. It is a type of necktie that consists of a ribbon of fabric tied around the collar in a symmetrical manner such that two opposite ends form loops. Bowties are one of the most outstanding accessories for men that draws noticeable attention and gives a classy look or appearance. 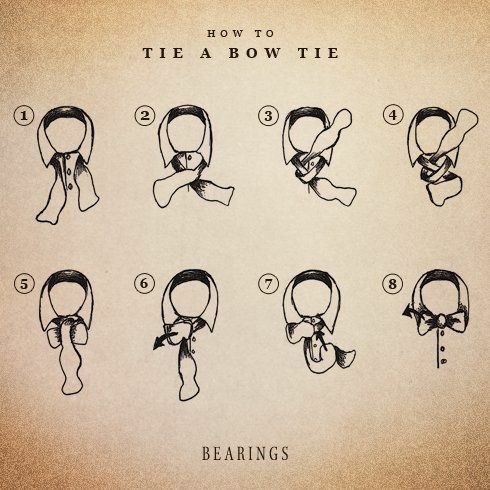 Bowties can enhance the way you look and are used to dress up formal outfits. 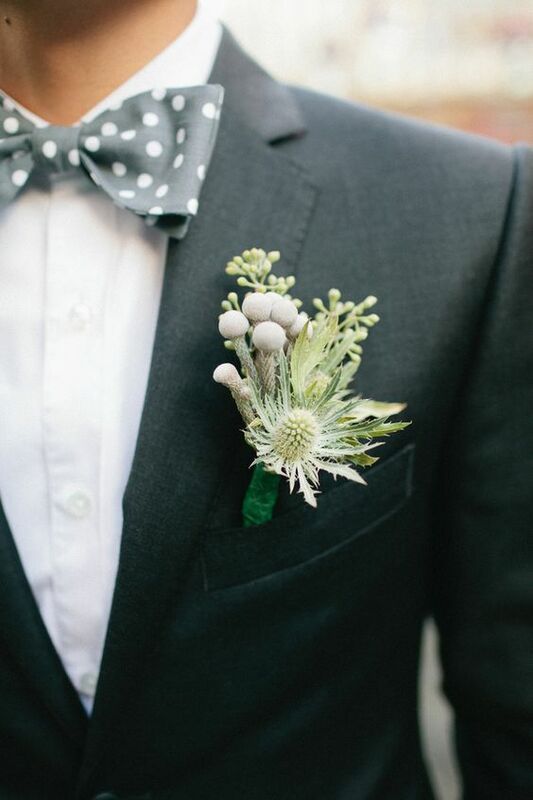 Bow ties are made from fabric materials like cotton, silk, polyesters or a mix of fabrics. 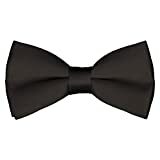 The traditional bowties generally have a fixed length and are made with a specific neck size, varying from between 14-20 inches just like a comparable shirt collar. GIFT CHOICE: 9 PCS Bowties Come in A Black Box by AVANTMEN, Ready for Giving! DIMENSIONS: approx. 4.8 in. (L) x 2.4 in. (W) with the Adjustable Neck Band. OCCASIONS: A must-have accessory for formal events, weddings, balls, parties etc. 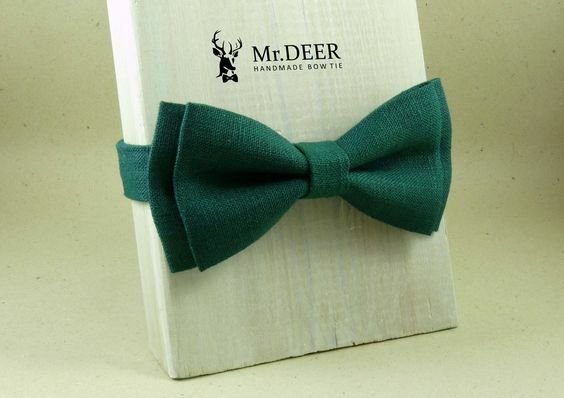 SIZING: Specially designed with an adjustable strap to be a one size fits all, the classic pre tied 2 inch bow tie can fit up to a 20 inch neck which makes it very universal and versatile, The open bow ties are made to fit from 14 inch to 20 inch neck with easy to adjust option with a numbered measuremet on the strap. 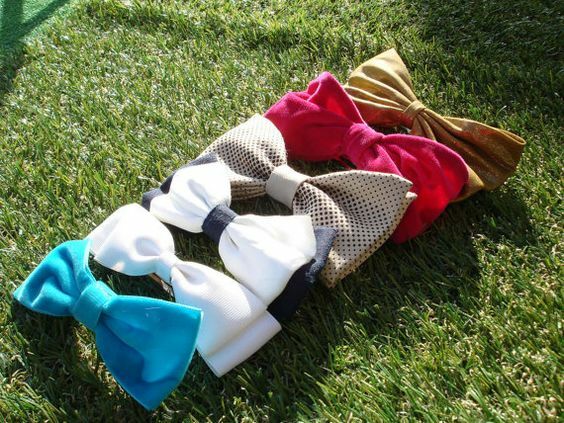 These bowties are made already and they are available, in which the distinctive bow is seen and a band goes around the necks and clips to secure. These type of bowties are dispensed with the band altogether, instead of clipping it to the collar. They are a free self-tie variant that requires some skill to knot properly. Wear it around the neck, while wearing, make sure that the right end is extended more than the left end; ideally one inch or slightly more. Cross the right end (longer end) through the left, making sure that you are crossing over the left end but not under it. Then, take a loop and tighten it on your neck. Pick the left end and fold it towards the right side. Pull the right end gently to make a small opening. Pass the right end through the opening and make sure to hold the knot firmly. Once the knot is formed; pull both ends of the bow to make it even. Make sure that you are doing this gently to achieve an even position. 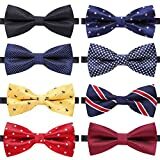 Bowties come in different shapes and colors, but the most popular shapes are butterfly bowties and batwing bowties.they are in demand these days as fashionable men are following the corporate trend, it makes them more stylish and yet formal. 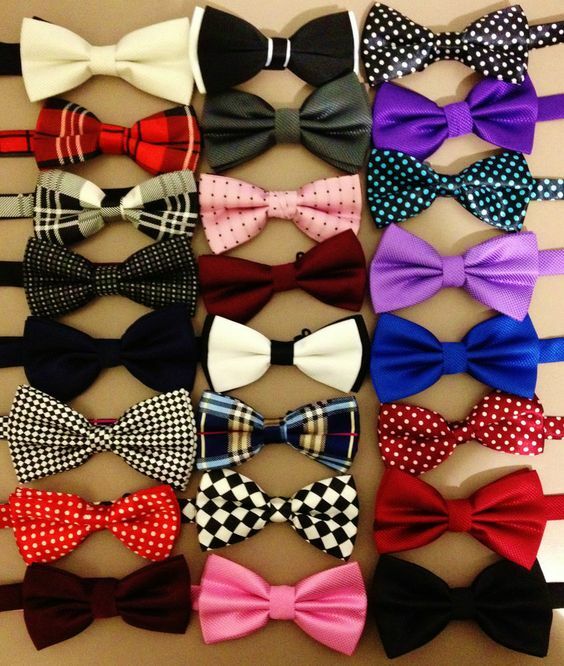 Bowties come in different colors, styles, and designs. Silky bowties give you a classic look when worn because they are very much demand in the fashion world. Slik bowties are considered to be trendy and stylish, with a classic look. Polka dot is a pattern which consists of an array of filled circles. Polka dots can also be described as a series of dots that makes a pattern especially on fabrics or clothing or it is a dot pattern of regularly distributed dots in textile designs. The first people to use this design (polka dot patterns) are the British. The most common color combination for men’s polka dot ties are red and white, blue and white, blue and yellow, and silver and black. 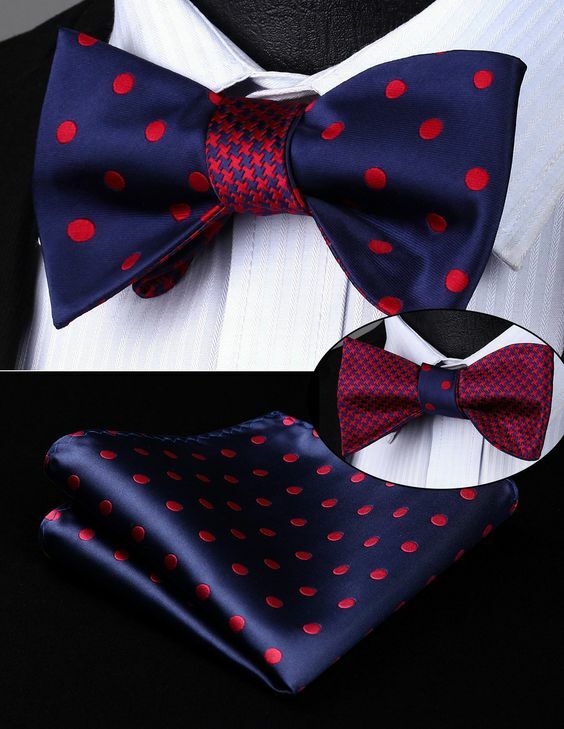 Polka dot bowties give a crisp and distinct knot of simple elegance giving it an aura of style and confidence, the perfect compliment to well a dressed man.